Ms. Lindsay Wright holds bachelors degrees in music and African American studies from Wesleyan University, a master’s degree in Multicultural Education from Eastern University, and is currently pursuing her PhD in musicology at the University of Chicago, specializing in education and American music history. 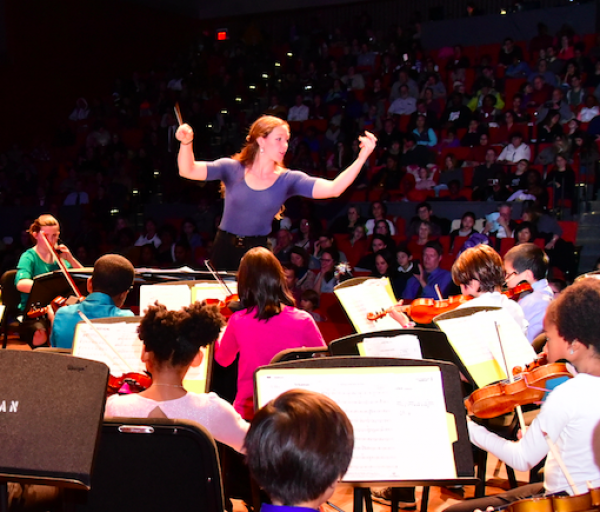 In 2010, she moved to Philadelphia to teach violin, viola, cello, and bass in five turnaround schools in the district while she earned her master’s degree. In Chicago, Lindsay directed the Hyde Park Youth Orchestra’s string orchestra, maintained a private studio, and taught group classes and chamber groups. She is the founder of the South Side Suzuki Cooperative, located in Hyde Park ( www.southsidesuzuki.com). She currently lives in Cambridge, MA.